Respite Care is a non-profit agency that is funded by United Way of Southwest Wyoming and Sweetwater County. By private donations and memorials. Charges are minimal to the client and are calculated on a sliding scale fee based on the client's income. No individual is refused services based on ability to pay. 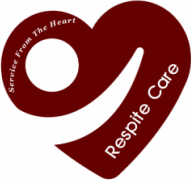 Respite Care provides services when insurance and/or Medicare/Medicaid are not enough or are unavailable. NO INSURANCE OR MEDICAID OR MEDICARE IS BILLED FOR OUR SERVICES.